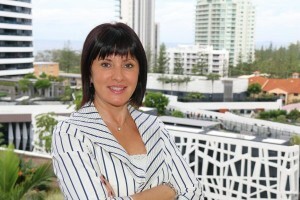 As a Russian immigrant Elena Gosse arrived in Australia over 20 years ago to start a new life. 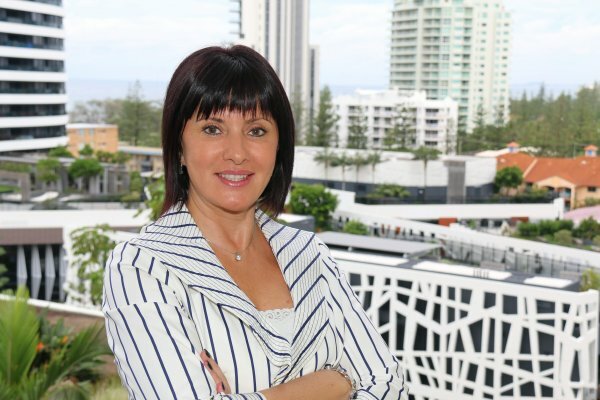 Now Chief Executive Officer of Brisbane based, leading water disinfection company, Australian Innovative Systems (AIS), Elena has been recognised as one of three finalists in the Entrepreneur Category for the Premier’s Cultural Diversity Awards. 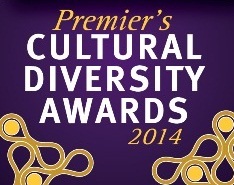 Winners will be announced on 30 August 2014 at a gala dinner which will mark the start of Queensland Cultural Diversity Week. Elena’s entrepreneurial vision and leadership skills have seen AIS grow from a three person operation in 1992 to a company which boasts over 60 staff, operates three purpose built manufacturing facilities and attracts a multi-million dollar local and export turnover. The company’s award winning chlorinators produce chlorine onsite and inline via a process known as electrolysis thereby negating the need for chlorine delivery, storage and handling. Whilst AIS prides itself on its innovative technology, innovation also extends to Elena’s management style. Elena said that she was honoured to be named as a finalist in the Awards and feels her experience as an immigrant has helped to refine her business vision and embrace cultural diversity in the AIS workplace. “It is a great honour to be recognised along with the other talented finalists in the Premier’s Cultural Diversity Awards,” Elena said. “I believe that being a successful entrepreneur and business person is about taking calculated risks and I like to think that the biggest risk of my life, leaving my former country and embracing a new personal and professional life in Australia can act as an inspiration to other immigrants. “As an Australian citizen I am proud to say that AIS is also a celebration of Cultural Diversity. We employ people from 14 different countries including Russia, Ukraine, Lithuania, New Zealand, Australia, Germany, Vietnam, Philippines, Czech Republic, Kazakhstan, Kirgizstan, Azerbaijan, Turkey and Mexico. In some cases entire migrant families work with us. Spokesperson for the Awards, Queensland Minister for Aboriginal and Torres Strait Islander and Multicultural Affairs, Glen Elmes congratulated all of the finalists and acknowledged their positive, inspirational work and volunteering. “I am proud to recognise the businesses, community organisations, individuals and partnership projects that are contributing to and celebrating cultural diversity in our great state,” Mr Elmes said. Winners to be celebrated at Gala Banquet on 10 October in Paris, France. The awards keep coming for Australian Innovative Systems (AIS), an Australian owned leader in the design, production and supply of commercial and residential water disinfection technology. AIS CEO Elena Gosse has taken out top honours this week winning the Gold Award for Executive of the Year – Manufacturing. AIS has also been awarded a Silver Award for Most Innovative Company of the Year in Asia and Oceania. More than 3,500 nominations were received from more than 60 nations and territories in the 11th Annual International Business Awards which form the world’s premier business awards program. Winners will be honoured at a gala awards banquet at the Westin Paris Vendôme Hotel, France on 10 October. Elena said that the awards were testament to AIS’ dedication to constant innovation, world-class manufacturing standards, exceptional staff and the company’s quest to create safe, economical and versatile products that help protect humans and habitats against waterborne pathogens and the transmission of infectious disease. “In the past 15 years the World’s population has grown by over one billion people and global economic output has more than doubled. Earth’s finite water reserves are facing increased human and industrial activity impacts which means more germs and bacteria are entering the water which is bad for civilisation and the planet. We must keep our water safe and healthy” Elena said. “As a proudly owned and operated Australian business, we specialize in the manufacturing of chlorinators for water disinfection. We believe our technology provides the safest and best way to produce chlorine onsite and inline via the process of electrolysis and is suited to a wide range of industries including aquatic facilities, resort pools and lagoons, utility water, mining and horticulture. Although Elena said that although she was honoured to be recognized for her leadership skills, she wished to pay tribute to AIS’ 60+ employees who work in a range of roles including administration, management, micro-electronics, chemistry, power systems, electrical and mechanical engineering, water system design, assembly, metalworking and plumbing. AIS boasts a pro-multicultural employment policy at its Brisbane based headquarters and manufacturing facilities and Elena believes this also gives the company an advantage. “Just as the Stevies are International Business Awards we believe in fostering an international workforce, Elena said. In commenting on the standard of entries this year, Michael Gallagher, president and founder of the Stevie Awards said, “We congratulate all of the Stevie winners in this year’s IBAs. The quality of entries we receive improves every year. 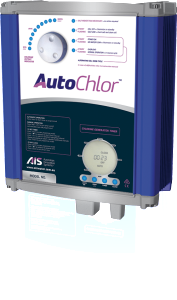 Based on the award-winning success of its AutoChlor™ salt water swimming pool chlorinator range, Australian Innovative Systems (AIS) has taken its technology one step further with the launch of the new AutoChlor ™ Pro Series model. 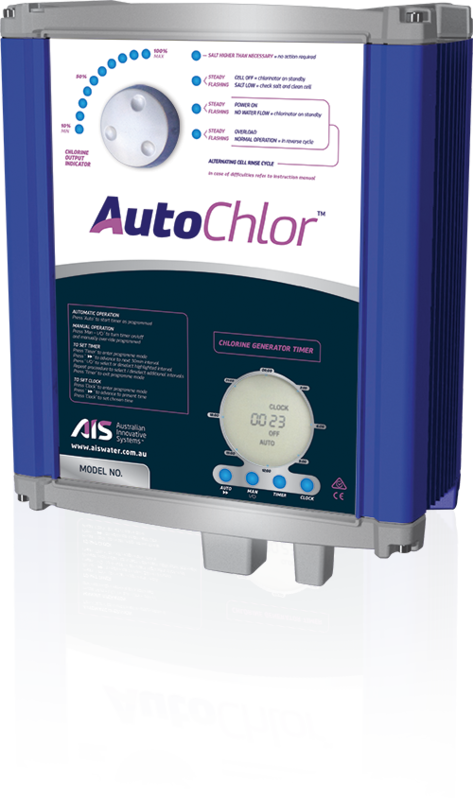 Suitable for standard salt water pools (TDS 5,000ppm) the AutoChlor™ Pro automatically and conveniently disinfects salt water inline – simply install, set and forget. AIS’ latest product combines advanced technology with robust, contemporary design with the AutoChlor™ Pro boasting the highest water resistance rating ever achieved by AIS. An external, fan-free heat sink keeps the unit cool, allowing the external casing to be completely sealed. A convenient, side-opening door ensures ease of operation. The AutoChlor™ Pro also includes added features such as Reverse Polarity (RP) Technology (for more efficient operation and less maintenance), an auto-timer and a pool pump socket. Like all AIS chlorinators it comes complete with AIS’ warranty program for ultimate peace of mind. AIS CEO Elena Gosse said that the AutoChlor™ Pro was a natural evolution of the company’s award winning AutoChlor™ Classic and SMS Series models. “For over 20 years Australian families have been trusting AutoChlor™ to keep their pools sparkling clean and their families’ safe from waterborne disease. Elena said that one of the reasons that AIS’ technology was such a trusted brand was that the company has been in business for over 20 years and is an expert in water disinfection. “Unlike other water disinfection companies, AIS exclusively designs and manufactures chlorine generators, it’s all we do.